← African Americans in Austin Unite for Adler! Asian Americans in Austin Unite for Adler! (Community Matters) Asian Americans in Austin Unite for Adler! (Austin, TX – Nov 18, 2014) After winning the endorsement of many leaders in the Latino and African American community, widespread support for Austin mayoral candidate Steve Adler continues to build for the December 16th runoff. 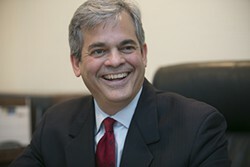 Leaders of the Asian American community in Austin will join Adler at a press conference on Wednesday, November 19th. It will be held at the Chinatown Center at 10901 N. Lamar Blvd. in North Austin. Upon arrival at the main gate, volunteers will direct the media to the press conference. Hear why these leaders feel Adler is the only candidate for mayor who will move Austin forward and tackle the issues most important to all people in our city. Adler has already been endorsed by the Network of Asian American Organizations Political Action Committee. Where: Chinatown Center at 10901 N. Lamar Blvd.